This summer, Po-Mar-lin Fire Company celebrated Firefighter John Bowman’s 50 years of service. 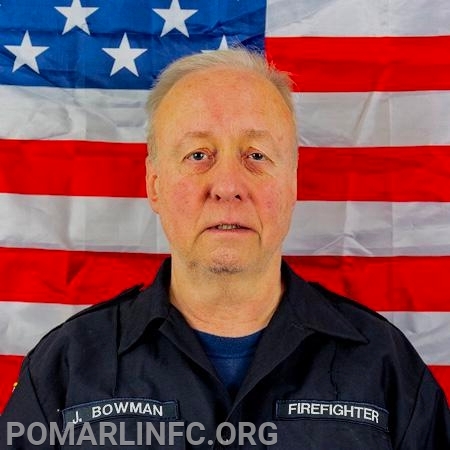 Since June 5, 1968 FF Bowman has dedicated his life as a firefighter to Po-Mar-Lin and its surrounding communities. If you ask any member about FF Bowman, they’ll tell you he’s an intelligent, humble man who keeps to himself. With many years of experience comes wisdom and with wisdom comes advice. There are countless pieces of advice he has passed down to other members, both on scene and during training. He’s worn many hats over the years as an active member, both on the operations side and the administrative side, including, Captain, Assistant Chief, Secretary, and he currently acts as a Trustee. FF Bowman has worked at the Acme in West Goshen since high school and is currently working on his second master's degree. Po-Mar-Lin is fortunate to have him as a member and looks forward to his service for years to come. A great accurate article describing John Bowman, I’ve known John for over 40 years and truer words are not possible.